We help you with presentations and specialise in communication. We help you bring your presentations back to life from dull and boring. His personal quest is to heal the “Death by PowerPoint” illness through the development of presentation design which help you engage your audience, and communicate your message more effectively. 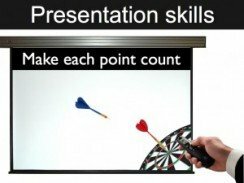 See our clips and blogs on Power point presentation skills tips and Pecha Kucha presentation style tips. As we speak our audience is asking “Why should I care?” and “What’s in it for me?” Richard helps you answer these questions and keep your audience’s attention through tried and tested presentation techniques. 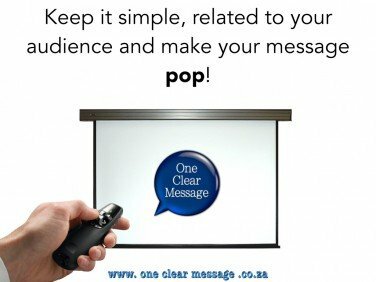 When it comes to presentations Clear and Simple is better! Presentations should not be projected “word documents” but graphic focal points reinforcing thepoint you are making. Telling stories is a great way to reach an audience. When we buy-in to an idea, it is our emotional response that convinces us … then we intellectually justify our decision. Think of when you bought your house. You loved the house, then you justified the purchase. Are the words you are saying, the pictures the words create, the visuals and your body language all saying the same thing? These are the essential issues we deal with as speakers. Communicating clearly, keeping the audience engaged and fulfilling their needs. Are you reaching your audience emotionally and getting a buy-in? Relationships are built on clear communication and good interpersonal relationship skills. Use these business presentation Skills tips to increase engagement with your audience and retention of ideas.